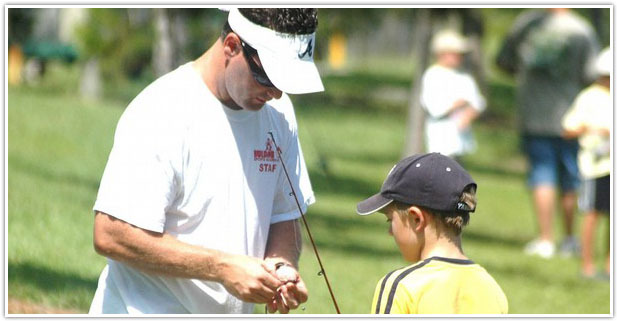 Building Up Sports Academy offers one of the biggest youth fishing programs in the state of Florida. 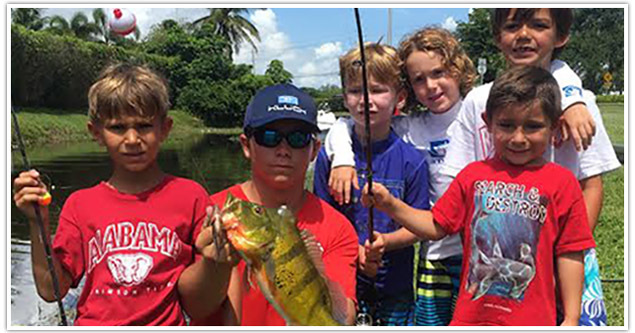 We offer many different fishing camps and clinics in Palm Beach County and Nantucket, MA. 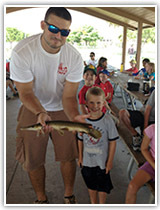 Our fishing camps and clinics are entertaining as well as educational. 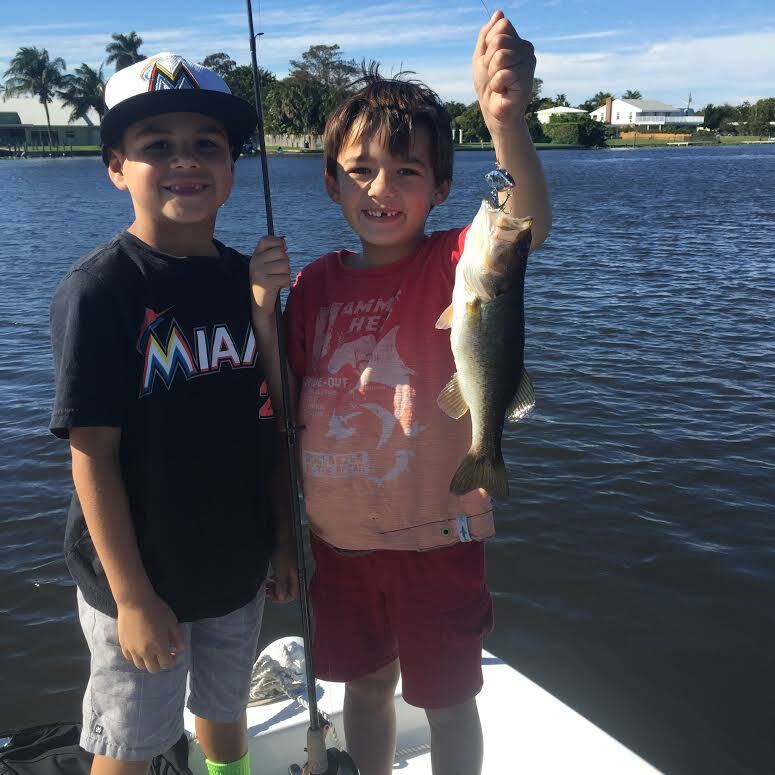 We want kids to experience the thrill of catching fish and to learn important conservation and ethical angling techniques. Studies have shown that kids that take up fishing at an early age are less likely to use drugs. 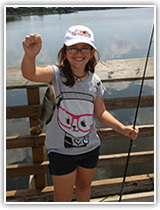 Campers will learn all aspects of fishing from identifying different species of fish, feeding habits, casting techniques and conservation. We also teach different fishing knots and water safety. 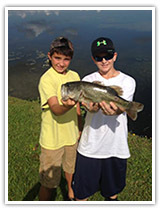 Some common fish caught in our Florida freshwater fishing camps are Largemouth Bass, Peacock Bass, Bluegill, non-native Mayan Cichlid, Catfish, and Tilapia. - All rod & reels are donated by Florida Foundation For Responsible Angling, INC. (FISH FLORIDA) www.fishfloridatag.org – Please support them by buying FISH FLORIDA license plates! Fish and explore beautiful Lake Clarke and the surrounding canals in our 22 foot 2015 Seahunt Bay Boat. We offer 3 and 5 hour fishing charters. 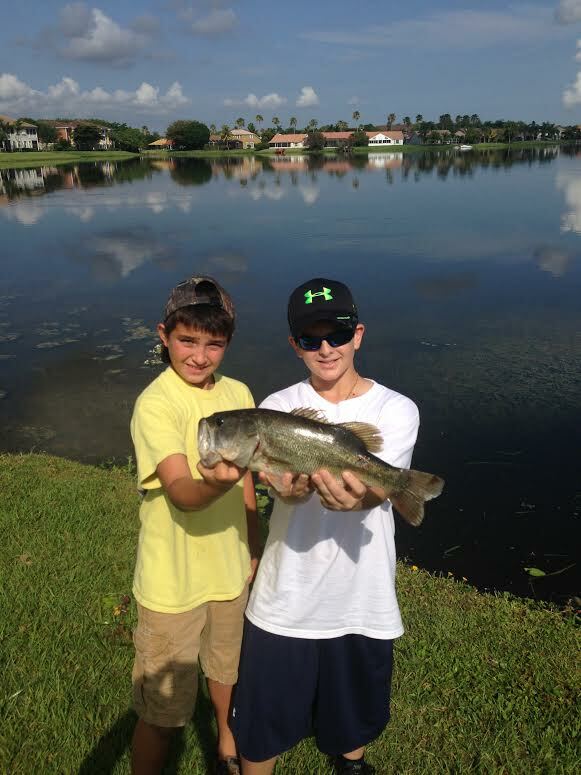 Lake Clarke offers 3 different species of bass. The Largemouth, Peacock and the Sunshine bass. We can accommodate 1-5 people. If party is bigger than 5 we have access to additional boats upon request. lFor more information please click on the link below. David Aagaard – President of Building Up Sports Academy, Inc. 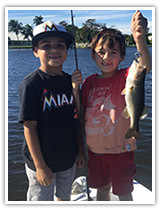 Fishing with your children can be very rewarding and educational. Here are some tips for taking them along. Make it fun: Above all else, make the fishing trip fun and safe. Don’ t measure the success of the trip by the number or size of fish caught. Make the trip successful simply by having a fun, safe time outdoors. Praise children for their patience and cooperation. Make it a shore thing: Teaching children to fish from shore has some important advantages. It provides them more opportunity to go on their own or with friends when they are old enough. Give the first few lessons at a local park, farm pond, or a lake with a dock or gentle shoreline where children can run and play when their attention span runs short. If and when you progress to a boat, be sure to have the proper safety equipment for you and your youngster. Fish for little fish: Catching fish is important; size isn’t. Start new anglers off on species that are plentiful and more easily caught. 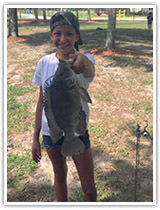 Popular fish for beginners are sunfish or perch. 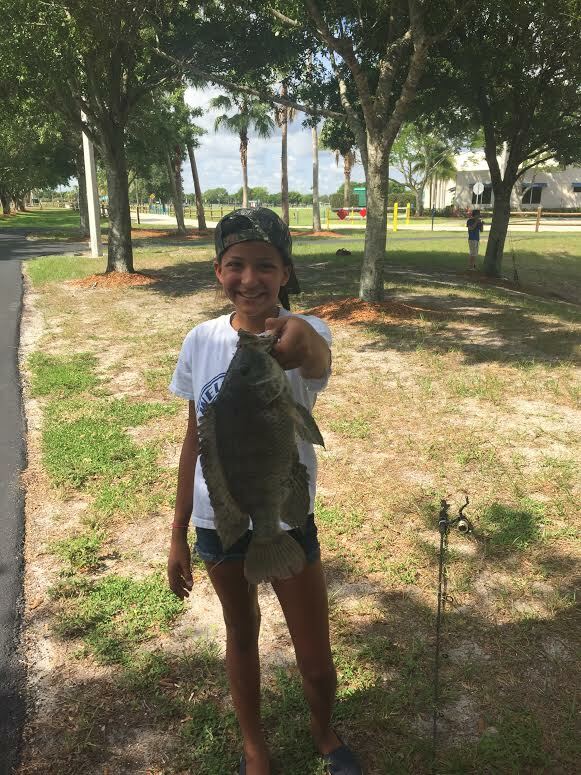 Most kids prefer to catch lots of fish versus big fish. 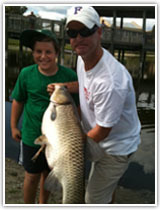 Larger fish can be sought when the child has developed basic fishing skills. Start with the basics: Begin with simple equipment and bait. Use simple spin-casting equipment, a bobber and a hook with live bait, as it will work well for a variety of fish species. Be sure the equipment your child uses is in good working order to avoid any unnecessary frustration. Teach skills: People, regardless of their age, enjoy fishing more when they are in control and have the ability to do it themselves. Resist the temptation to do things for your children. If you are using live bait, teach them how to put it on the hook themselves. Teach them how to tie their hook onto their line and how to cast. On future trips, help them develop these skills and their self-esteem, as they begin to master them. One of the most basic knots for adding end tackle, such as hooks,lures, or swivels. 1. Pass the line through the eye of the hook, or swivel. 2. Double back. Make five turns around the line. 3. Pass the end of the line through the first loop, above the eye, and then through the large loop. 4. Draw the knot into shape. 5. Slide the coils down tight against the eye.